New book, 398 pages. In 44 BC, Julius Caesar was murdered on the Ides of March. His mistress, Cleopatra of Egypt, fled back to Alexandria with their little son. Mark Antony, Caesar's friend and henchman who, according to some accounts, was already besotted with the beautiful Cleopatra, took up her son's case before the Senate. But they refused to recognise him as one of Caesar's heirs. Civil war broke out, and after the defeat of Caesar's murderers Antony took control over the East. Summoned to his headquarters in present-day Turkey. 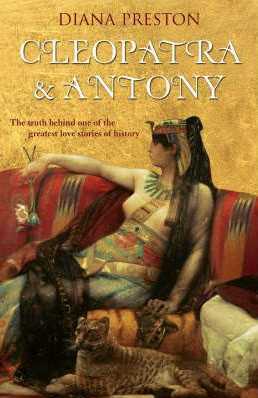 Cleopatra made her entry at dusk on a scented, candlelit barge: and so began one of the greatest love stories of all time - an eleven year love affair that created the ancient world's most famous celebrity couple. The affair became all consuming and fired the lovers with the ambition to create a new order. Had they succeeded, our world today might have been very different. This item was added to our catalog on Saturday 30 January, 2010.